No one really knows for certain why dogs howl at sirens, but there are several good theories. The first is that the sound hurts their ears and they are howling in pain. The other one involves dog communication. Let’s examine both of them to see which one seems to hold true. Dogs do have an extremely sensitive sense of hearing compared to humans. Smell and hearing are their two best senses. A sound that seems loud to us seems even louder to a dog. This is what leads to the theory that dogs howl at sirens because it hurts their ears. The only problem with this theory is that usually the dog’s reaction does not support that they are in pain. A dog has 18 muscles in their ear that will allow them to wiggle their ears so they can either hear the sound better, or flatten their ears so that they do not want to hear it. The ears are also used as a form of body language communication. When a dog hears a noise that frightens them, their reaction is usually to flatten their ears, shrink their body, and move away from the sound. This is usually not what they do when they hear a siren. They tend to perk up their ears and wiggle their ears to find the direction of the sound. They stand tall in puff out their chest, sometimes trying to move towards the sound. This would indicate that they want to go towards the sound, rather than run away from it. There may be some dogs that are frightened by the sound and that shrink away from it, but this is probably not due to the sound itself, but rather a reaction to any strange sound by that particular dog. 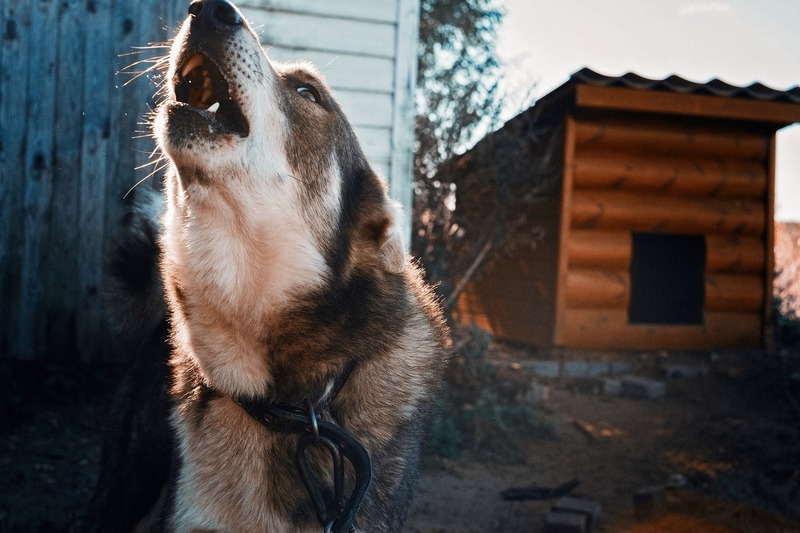 Howling is not a form of language that dogs use when they are frightened by something or in pain. ​When a dog barks at a siren, it may be territorial protection. This would certainly be the case if the dog growls along with its barking. 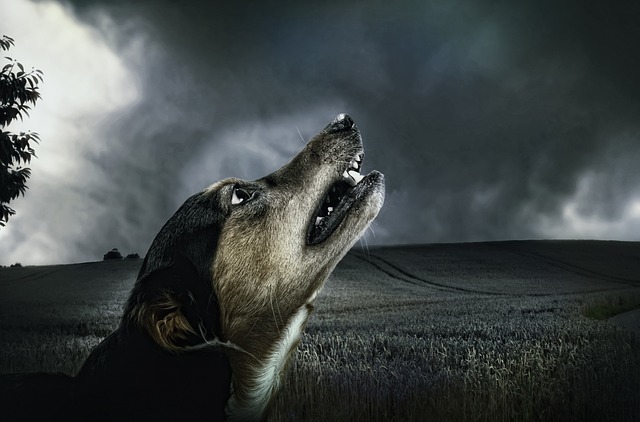 When a dog howls at a siren, the most likely reason is that the sound is so close in pitch to a community howl that the dog thinks the siren is a long-lost relative. Based on their behavior when they howl at sirens, this is the most likely explanation for the phenomenon.